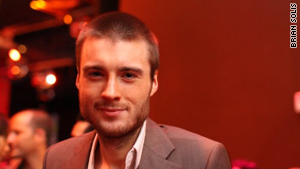 Mashable's Pete Cashmore says Thursday's Twestival brings in dollars and raises awareness on a global scale. (CNN) -- Today people in more than 175 cities will attend meetups to raise money for Concern Worldwide, helping to provide an education to the estimated 72 million children around the world who are not enrolled in school. How are they coordinating this global event? Through Twitter, of course. Local event attendees simply register on the Twestival Web site, then spread the message through their tweets. Those not attending local events can donate online or participate in a celebrity auction hosted by eBay. Twestival, now in its second year, can move the dial in terms of dollars raised. Last year's event brought in $250,000 for a charity to bring clean water to 17,000 people. At the time of this writing, this year's fundraising total stands at $208,000 -- enough to build 12 new schools and train 30 teachers. Given that the majority of donations occur at the events themselves, the final tally could be significantly higher. Twestival doesn't just bring in the dollars. It matters because it raises awareness on a global scale. With more than 48,000 tweets posted about the event so far, Concern Worldwide has seen its message spread by a veritable army of Twitter fanatics. It's true to say that North America leads in the fundraising charts; the continent accounts for 42 percent of donations. But Europe ranks a close second, accounting for 31 percent of funds. Asia accounts for 7 percent of donors, proving the movement has global reach. But Twestival's lasting impact may be in the movement it has spawned. The 2009 event - and similar campaigns such as the Thanksgiving-themed Tweetsgiving -- were pioneers for social media fundraising campaigns. This year's Haiti SMS appeal, organized by the American Red Cross, raised in excess of $32 million for earthquake relief following the January 12 quake. Much of the success of that campaign was credited to the "viral spread" of the message on social media sites such as Facebook and Twitter, a model proven by Twestival in early 2009. Twestival's impact, then, is threefold: Its cash haul is significant, it raises awareness of the cause on a worldwide scale and it provides the framework for future campaigns.